The Navy's Advanced Electronics/Computer Field offers extensive training in all aspects of electronics, including computer systems, radars, communications systems, and weapons fire control systems such as the Navy's advanced missile system, Aegis. The standards for selection for enlistment in the Navy's Advanced Electronics/Computer Field are high. Personnel interested in applying for Advanced Electronics/Computer Field should be seriously interested in pursuing the challenge this highly technical field offers. They must be mature, ready to take on significant responsibility and willing to apply themselves. Enlistees enter as E-1s (seaman recruits). Advancement to pay grade E-2 (seaman apprentice) will be made after successful completion of recruit training. Advancement to E-3 will be made after completion of all advancement-in-rate requirements (including minimum time and coursework). Advancement to pay grade E-4 (petty officer third class) will be made after successful completion of initial school training and after all advancement-in-rate requirements (including minimum time and coursework) are completed. Advancement to E-3 and E-4 is contingent upon maintaining eligibility in the Advanced Electronics/Computer Field program. Eligible personnel may be paid bonuses at the time of re-enlistment. All bonuses are in addition to Navy salary and allowances for food and housing. 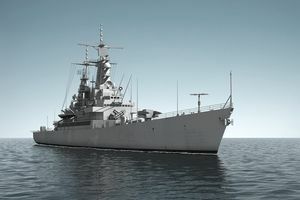 Because of the advanced technologies in the Navy, acceptance into the Advanced Electronics/Computer Field is limited to highly motivated and qualified applicants. About 17,000 men and women work in the ET and FC ratings. People who qualify and choose the Advanced Electronics/Computer Field must agree their active duty obligation for six years to accommodate the additional training involved. Only two Navy job specialties, called "ratings," are included in the Advanced Electronics/Computer Field: Electronics Technician (ET) and Fire Controlman (FC). The rating in which an Advanced Electronics/Computer Field candidate is trained is determined in the initial phase of the Advanced Electronics Technical Core Course in Great Lakes, Ill. However, eligibility requirements are the same for both ratings in the Advanced Electronics/Computer Field. Jobs performed by ETs and FCs are performed throughout the Navy's fleet of surface ships including aircraft carriers and Aegis cruisers, as well as at repair activities ashore. ETs maintain and repair electronics equipment, such as radar, communication and navigation equipment. FCs operate, maintain and repair the electronic, computer and control mechanisms used in weapons systems. These ratings comprise the basis of the ship's Combat Systems department aboard ships and are responsible for maintaining the ship's readiness for combat operations. Enlistees are taught the fundamentals of this rating through on-the-job training or formal Navy schooling. Additional training for specific aircraft or equipment is generally received before reporting to operational activities. Advanced technical and specific operational training is available in this rating during later stages of career development. After "A" school, ETs and FCs continue on to advanced "C" school. School lengths and content vary, but many colleges and universities offer college credits for these Navy courses. During a 20 year period in the Navy, ETs and FCs spend about 60 percent of their time assigned to fleet units or remote shore stations throughout the world and 40 percent to shore stations in the United States. Jobs performed by ETs and FCs are performed throughout the Navy's fleet of surface ships including aircraft carriers and Aegis cruisers, and at repair activities ashore. ET: In the lower-division baccalaureate/associate degree category: three semester hours in basic electronics laboratory, three in AC circuits, seven in solid state electronics, three in electronic systems troubleshooting and maintenance, and two in electronic communication. FC: In the lower-division baccalaureate/associate degree category: three semester hours in solid state electronics, three in electromechanical systems, three in digital circuits, two in microwave fundamentals, one in electronics laboratory, one in digital laboratory, and one in radar maintenance. Also, see Submarine Electronics Computer Field.